All activities listed below take place over the autumn/winter months and are open to both bowls and social members alike. Wednesdays 2:00 – 5:00pm and 7:00 – 10:30pm. Games are more of a social, rather than competitive, nature and are organized around the numbers who turn up to play. Sessions are more about participation than spectating and who plays with whom is determined by draw. Match scores are recorded and loosely organized into a league ranking by individual, to cater to those players possessing a more competitive spirit. Come along and give it a try. It doesn’t matter if you haven’t played before. Regular players will be only too happy to show you how to play and get you involved. With the obstacle in the middle of the short mat there can be some hilarious bowling techniques employed in trying to avoid it! An afternoon session costs £1 (includes tea and biscuits) whilst an evening session is 50p and the bar will be open. For more information, please contact Chris Hidden. 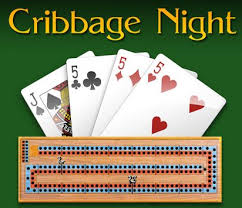 Highworth’s popular cribbage night has been running for many years and currently consists of 12 teams of 2 players, competing in a league format, at a cost of £1 per team each per match. Whilst the league is limited to a dozen teams, there is a list of “reserves” who can stand in for regular players when they are unable to take part. Matches are played “best of 5” with an (optional) additional game played to determine “who pays”. Crib “drives” take place twice a year, once at Christmas and again at the end of the season, when there is also a prize giving evening with supper provided. If you would like to join the list of reserves, or require further information, please contact event organiser, Sandra King. 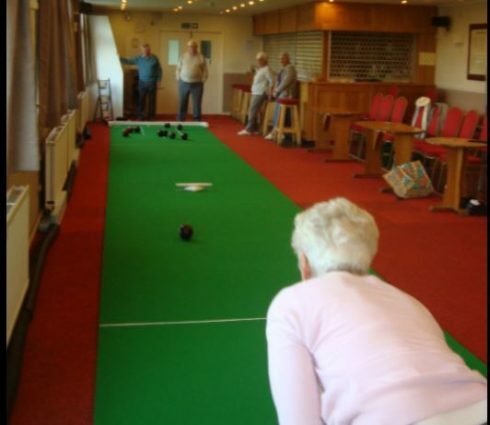 Highworth participates in the Swindon & District Friday Skittles League. Each match sees twelve players per team, split into four groups of three competing to win two points for their team. 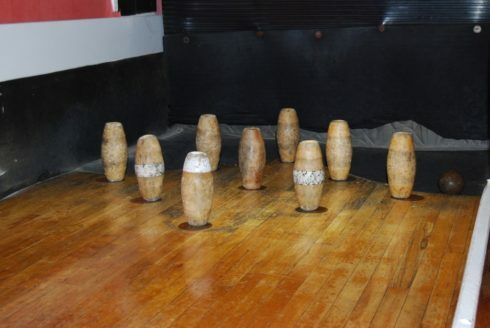 Each group competes over three rounds and within each round, each player has three balls to try and knock down all the skittles in a set. The number of skittles each knocks down is added to the scores of their two team mates and their totals accumulated over the three rounds to determine which side gets the two points on offer. A further six points are on offer for the team finishing with the highest overall total, making for a possible fourteen point haul per match. For more information, please contact Ian Webb.